The Health and Safety Executive has confirmed an investigation is under way after a video appeared on Twitter showing a man climbing out of a manhole on a busy street in Coleford, Gloucestershire. What makes the video so shocking is that the manhole has not been fenced off in any way to alert drivers that work is underway. Captured by a local resident on their dashcam, a man wearing a hi-vis jacket emerges from the hole in the road, watched at a distance by his colleague. There are no signs to warn of workers in the road, and the manhole is unmarked, presenting a danger to the man and to motorists who may drive into the hole. A closer examination of the video reveals that the men do indeed have cones with them – but they are being used to surround their van, parked on the other side of the road. Almost as if protecting their parking space is more important than their personal safety. This lack of care could have easily resulted in serious injury or death had a less observant driver rounded the corner as the man emerged from the road. Although the worker is most at risk from their own stupidity, the HSE also apportions some blame to their employer. After incidents like these, inspectors will want to know why a worker would assume it is acceptable to ignore common-sense safety rules. Looking beyond the actual video footage, these men’s’ employer will also be investigated to see whether there is a company-wide culture of neglect for health and safety. They will also want to reassure themselves that the workers were properly trained in site management before being sent out to work on Britain’s roads. Ensure staff are trained in basic site management and ensure they are fully equipped to protect themselves. In this instance, training on safe working in the road, coupled with safety barriers and warning signs would have helped to dramatically reduce the risk presented to workers and drivers. 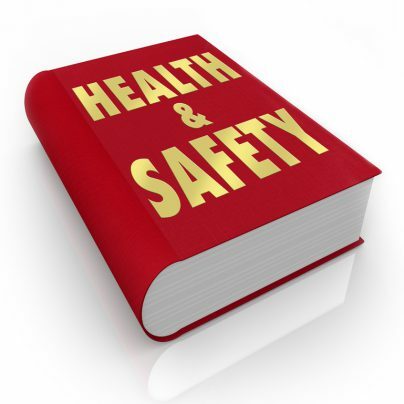 Ensure records are kept of all training, providing proof in the event of an HSE inspection that all reasonable steps have been taken to protect workers. Emphasise the employee’s personal responsibility for maintaining safe working practices on site, and implementing a disciplinary procedure that underlines this. You should be prepared to enforce these procedures – including sacking employees – as part of your commitment to company safety.